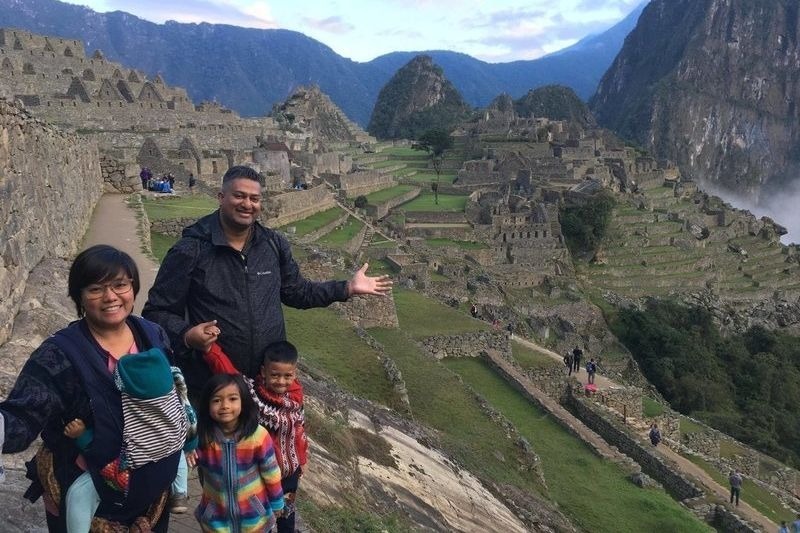 As a family we love to travel, but sadly we haven’t yet managed to get our whole family beyond the borders of our home country! It’s certainly one of the things we’d like to do as a family, and SOON! 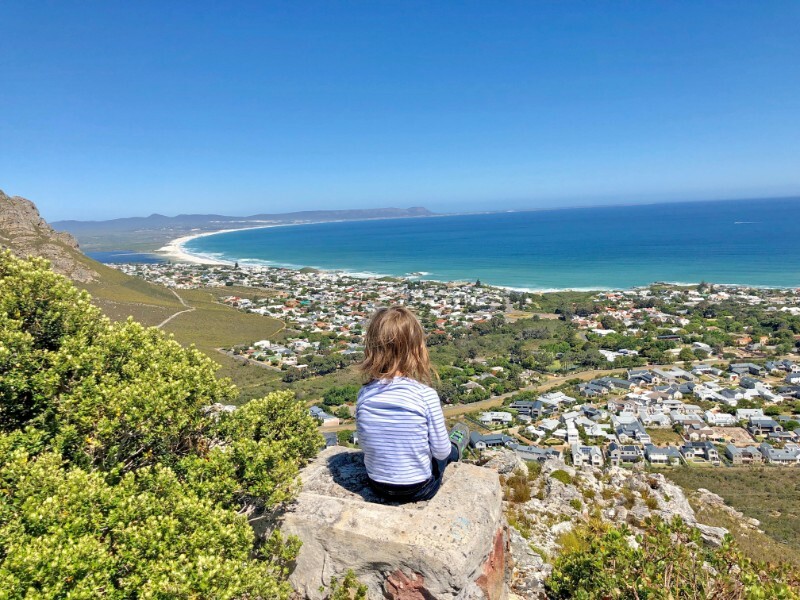 While we keep enjoying local travel I’ve asked some of the best family travel bloggers across the globe to share with me their best places to go with kids – and with all their vast travel experience I’m sure they are the best placed to know which are the countries to visit with kids in tow! 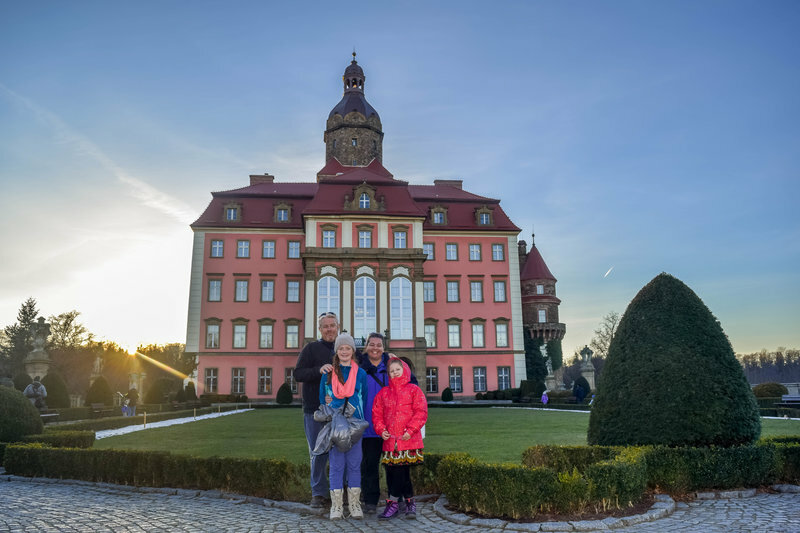 A round up of 25 of the very best family-friendly countries to visit on holiday as nominated by the very best family travel bloggers in the world (and their kids)! 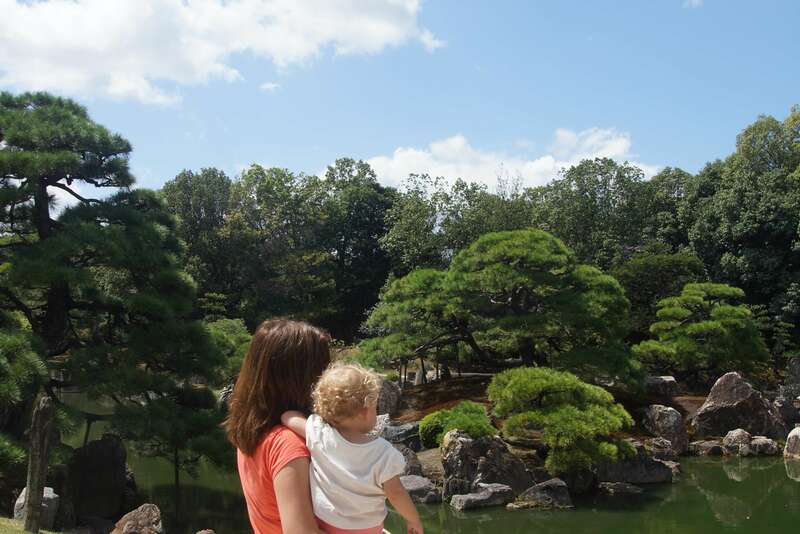 Japan for us is the perfect family friendly destination for so many reasons. Firstly Japan is an incredibly safe place to visit and everything is accessible which means even if you are traveling around with a pram or stroller you won’t have any issues. Literally all the tourists sites from shrines and temples, to palaces and gardens are incredibly family friendly and will be engaging even for littles and are the perfect blend of indoor and outdoor activities depending on the weather and time of year you are visiting. We also found the food to be great for littles. Japanese food is so much more than sushi and our little loved eating noodles and katsu curry amongst other things. As a special treat for young ones there is not one but two Disney parks in Tokyo – Tokyo Disney and Disneysea which is the perfect treat at the end of a visit to Japan. Vietnam is a fabulous destination for families. Here you have a rich and vibrant culture, some of the region’s best beaches, a fascinating history and stunning scenery. 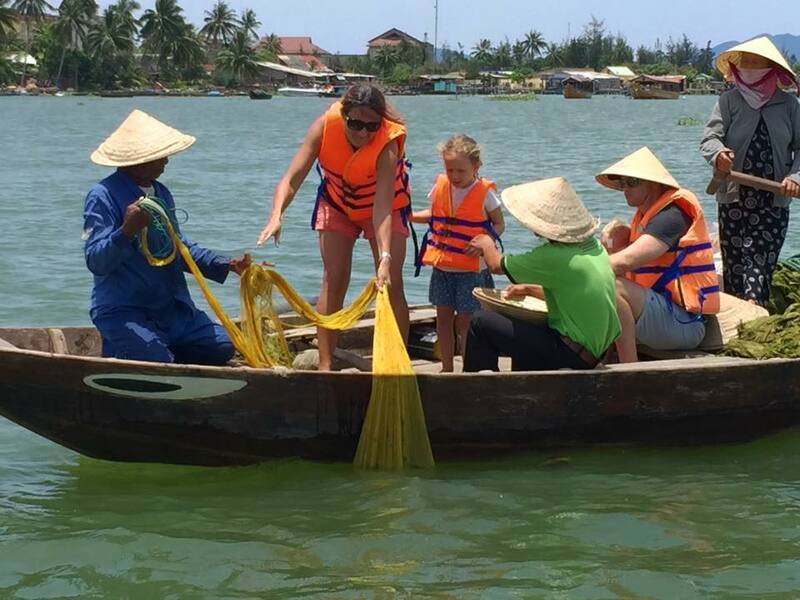 What I really love about Vietnam as a family holiday destination is the ease of combining a rich cultural experience, with a fun and relaxing holiday. You can take in the views of daily life in bustling Hanoi while riding in a cyclo; view the soaring limestone crops of Halong Bay from a kayak; and meet the villagers of the minority hill tribes while trekking through incredible scenery in Sapa. My kids love the long white stretches of beach in Hoi An and Danang, and there is a huge choice of family friendly hotels here. While here we have enjoyed admiring the beautifully preserved traditional wooden architecture, taking a street food tour, and learning about the local farming and fishing communities. Even the modern metropolis of Ho Chi Minh City is doable with kids – and for older children there are some important history lessons to be learned at both the Cu Chi Tunnels and War Remnants Museum. 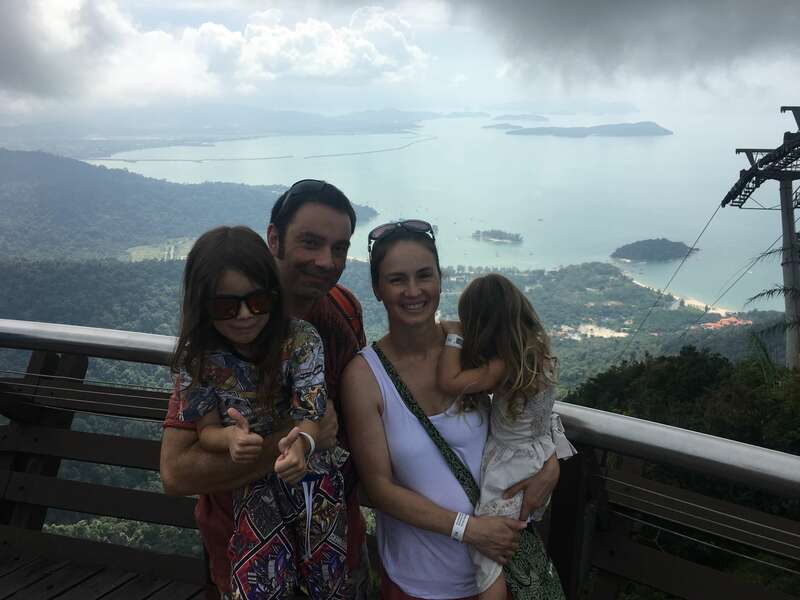 Malaysia was the first country we travelled to as a family, and it was a wonderful destination to take the kids. The people are friendly and welcoming, and children are a cherished part of life for them. Their food is varied and delicious, and Western-style food is readily available too. The lush landscapes are truly stunning, and with a huge range of activities on offer, plus low prices and a comfortable bus system that puts Australia’s to shame, we easily spent two months exploring the Peninsular and still didn’t see it all! We found that English was widely spoken, and when we (the kids especially) spoke a few words in Malay, people always responded very positively to us making the effort. We plan to return to Malaysia to discover Borneo in the next few years, and are very happy to go back to this beautiful country. We’ve been traveling for the last 2 years non-stop. So far, the best place to visit with the kids is Colombia. We’re a family of 6, so it’s a bit hard to find a place that’s great for every one of us, but Colombia ticked all the boxes! 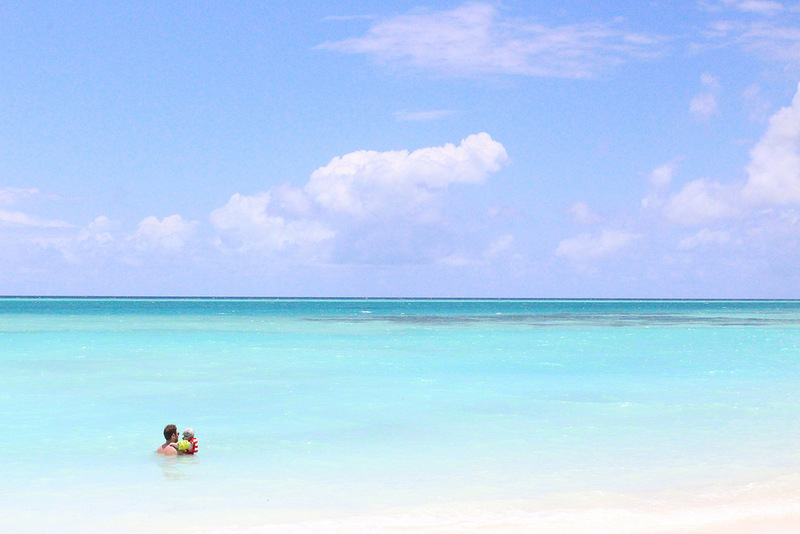 If you go North, there’s Cartagena, its tropical weather, and the lovely Caribbean beaches. In the middle of the country is Bogota with its cool climate (due to the altitude). Want a restaurant to please all the family? 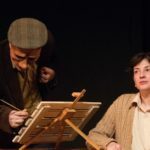 Visit Andre Carne de Res on a weekend. Between Cartagena and Bogota, there’s Medellin. It’s the place with the best weather every – a nice spring climate all year long! My kids loved the evening walks around the food trucks! And there’s also the possibility of doing a coffee farm tour! And farther South, there’s the Amazon forest! To make it better, it’s not an expensive place to visit! And the coffee… Oh, the coffee! Even though Colombia doesn’t have the best fame in the world, we absolutely love it and found it safe and fun! We spent a month exploring Nicaragua as a family and it was definitely one of our favourite countries we have visited together. 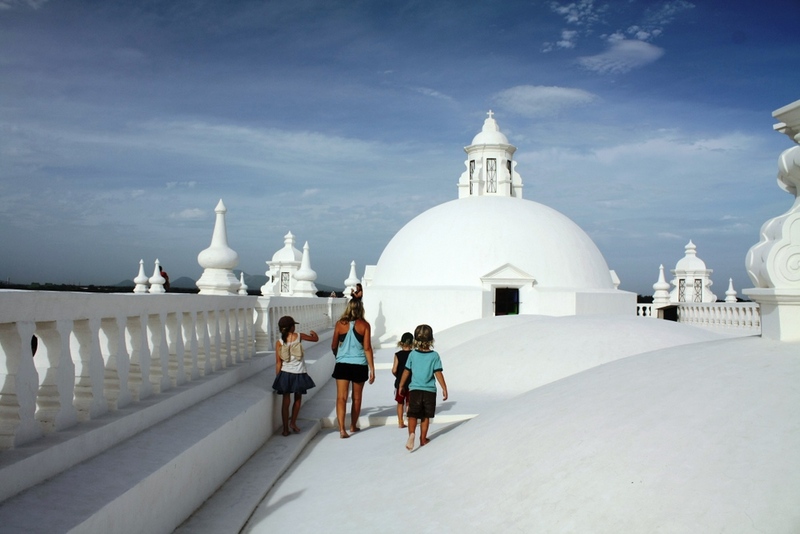 Central America’s lush jungles, active volcanoes, beautiful beaches and colonial cities are natural winners for families looking for active adventures. Nicaragua, once thought of as too unstable to visit, is now one of the hottest destinations in the region. It is cheap, safe and offers a great mix of outdoor activities and rich culture and history. We loved traveling around in the colourful chicken buses with the locals, practicing our Spanish and enjoying the natural beauty of its lakes and volcanoes. For a shorter trip, head to the colonial city of Granada, the oldest city in Central America littered with colourful buildings and churches. From there make your way to the stunning twin volcanic island of Ometepe where you can experience rural Nicaraguan life with lots of opportunities for active pursuits like hiking, kayaking and swimming. The black sand beaches of the west coast are popular with surfers, or take a short flight to the Corn Islands for the calm waters of the Caribbean. Nicaragua’s other famous city, Leon, is where most people lose their heart. It is a real living city and its crumbling facades and revolutionary spirit give it a very likable edge. 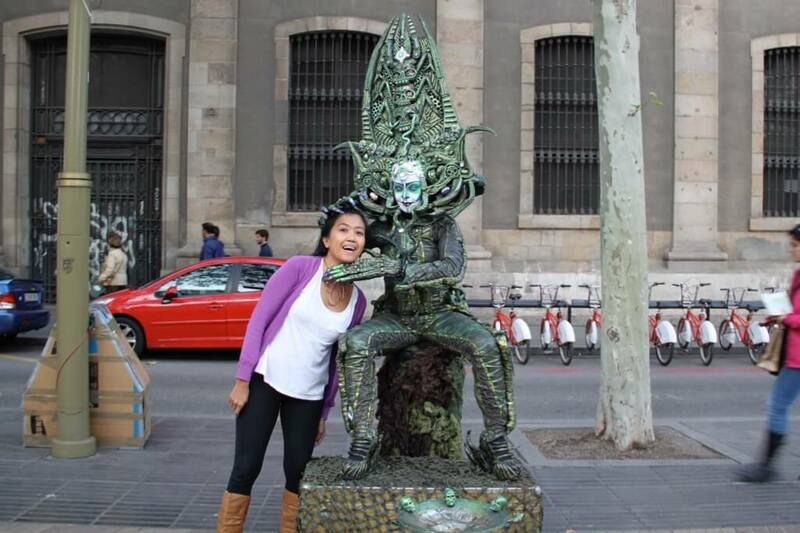 Our family has done a lot of traveling in Asia, but it is Europe that my 10-year old daughter’s heart lies. She says her favourite country we have visited is the Netherlands. In Amsterdam she loved that we stayed in a houseboat on the canals and she loved the Dutch pancakes. She also liked learning about Anne Frank and visiting her house. Portugal is our family’s new favourite travel destination. We’ve been there on a few occasions and explored several regions of the country, including the Azores islands as well as Madeira. Portugal has it all: mild climate, beautiful beaches, stunning nature, lots of cultural sights, and the food is really good too. It’s this mix that made us fall in love with Portugal I think. No matter where you go, you always have a great variety of things to do and places to visit, so the kids never get bored. It’s really easy to find a perfect combination between a relaxing family holiday, outdoor activities, and sightseeing. A big plus point for families is that Portugal is one of the cheapest travel destinations in Europe, so you don’t have to break the bank in order to have dinner with good local wine and fresh catch of the day every evening. 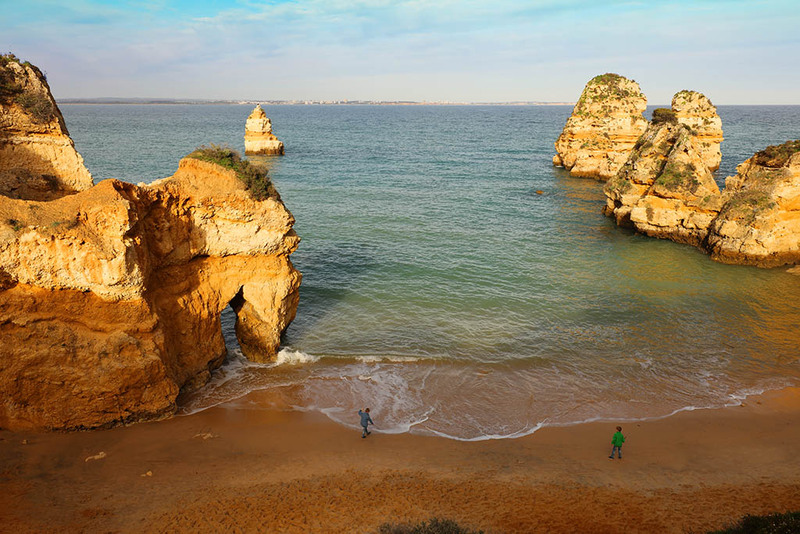 Some of our favourite things to do in Portugal with kids include hiking in Madeira and the Azores, exploring the castles in Sintra, taking a sunset sailing cruise in Lisbon or a whale watching tour in Madeira, visiting small villages like Nazaré or Costa Nova, and of course relaxing on the incredibly beautiful beaches in the Algarve region. Our kids’ favourite destination is probably Switzerland and it’s been their top-1 for many years. In summer we go hiking in the mountains. Building dams in a mountain river, rowing a boat on a mountain lake, navigating challenging hiking paths, or cuddling Swiss cows along the way – our boys can never get enough of it. But their favourite vacation is our yearly winter break in Engelberg, Switzerland: skiing, sledding, and toboggan for hours and days in a row – it’s their kind of paradise. I absolutely love Poland. We were warned that we may have problems there with theft as we were foreigners but we have had nothing but brilliant experiences there. We have not spent a lot of time in the big cities as we have spent most of our time in small rural areas. I find that people are very mindful of the girls and they try their English out on them. People help us even when it involves a lot of hand gestures and even more laughing! The girls are welcomed as valued guests at restaurants just as we are and they are treated well wherever we go. We all feel like we have a second home wherever we are when we are there and the girls always say that they feel safe there which is a big win when you are travelling with kids! Bec’s 2 kids (who blog over at Wyld Child Travel) have also weighed in on their favourite countries to travel to… Marley has a couple! She loves Iceland, Portugal and Poland! She said that she loves Poland because it is a very traditional country with beautiful nature all around and it is absolutely beautiful in the winter. Iceland because it was all closely connected with nature and I loved going and exploring the waterfalls. I even got to walk behind it with my dad. Portugal because it is just really really beautiful there. I can see myself walking down heaps of stairs to enjoy the beach and the city is really beautiful. I just have a love for it. Willow said Germany or Poland because they have great scenery and they are beautiful and they have the best food there ever! Travelling with kids can be an exciting affair. We love using our kids curiosity to fuel our destination choices and the sights, attractions and adventures. This has led us to explore a number of countries that we would have overlooked had it not been for the kids and their inquisitiveness. Macedonia was one such country that I visited without much background knowledge and without any real expectations. Surprisingly, the kids had an absolute ball and I must admit that I left feeling a new found need to seek out the unusual. Adding to the thrill, was meeting my childhood bestie and her family there, who had travelled from Denmark for the adventure. Whilst Macedonia is a small, landlocked, European country which is yet to be part of EU, it boasts an incredible array of places to see and experience. Better yet, it is dirt cheap. Perhaps cheaper than Asia (not including the airfares!). 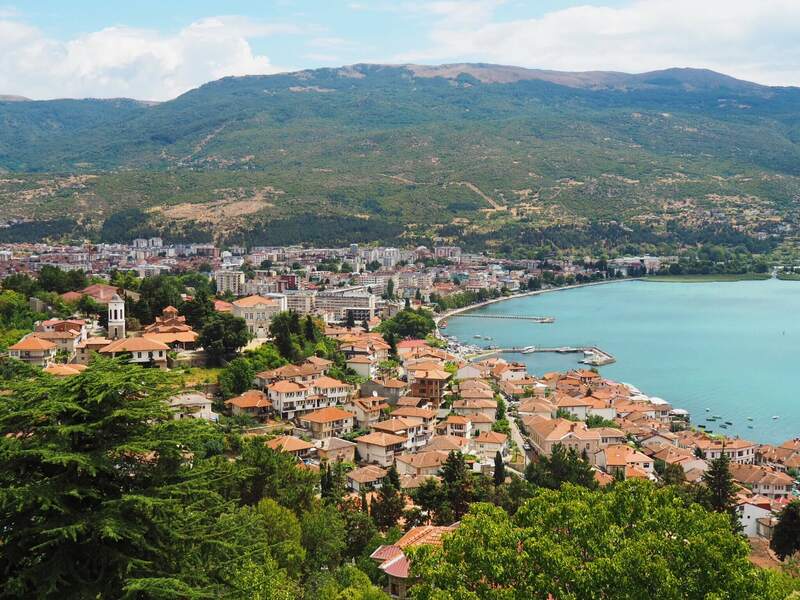 Ohrid was our favourite city to visit in Macedonia. Sitting on Lake Ohrid, Ohrid has been identified as both a Cultural and Natural World Heritage SIte by UNESCO. 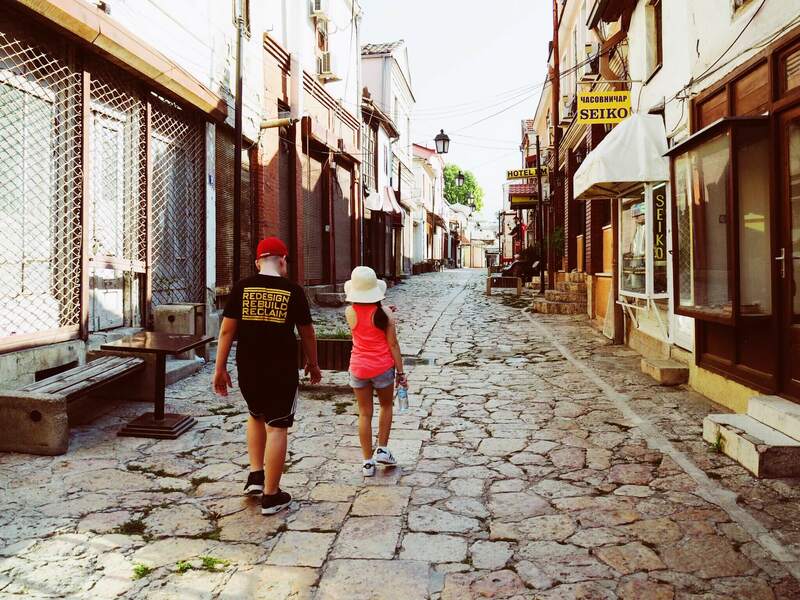 We ordered walking its cobblestone paths, exploring the ancient open theatre, the Byzantine churches, the Bay of the Bones archaeological site, and the kids favourite, sailing across the lake to visit the cave churches. There were days in Macedonia where we stayed up late and danced on the street with the locals; lunch dates that stretched into dinner; and a number of festivals that swept us into their celebrations and kept us busy. It is a country where children are embraced and adored, where babas (older ladies) will provide you a helping hand if you need it and where you can feast as a queen without emptying your wallet. 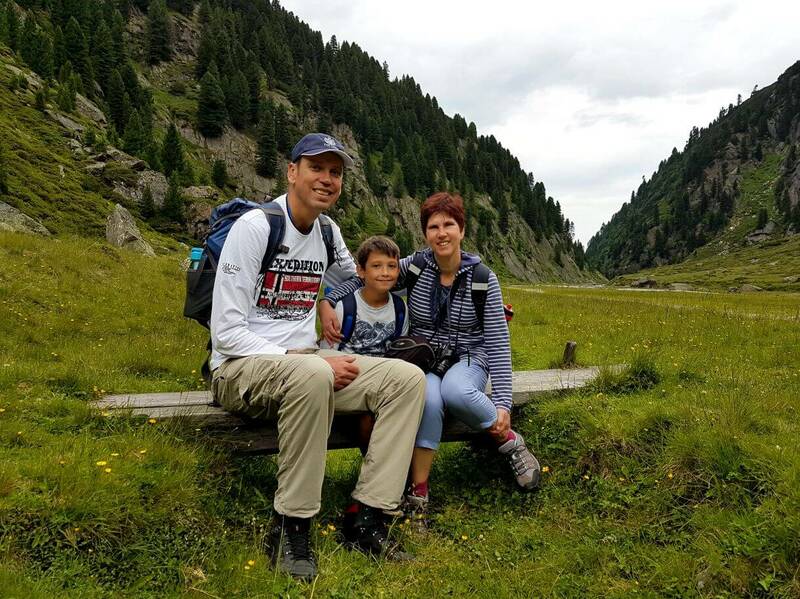 Austria is our favourite family destination because a holiday in Austria means spending time away from technology and reconnecting with nature in a big way. We love to ski at one of the many family-friendly ski resorts in winter but it’s the Austrian summers that create wonderful opportunities for families to make memories. My favourite part of Austria for family holidays is Tyrol, the mountainous province sandwiched between Germany and Italy. Almost every ski resort turns into an adventure paradise for kids of all ages in summer. There are Alpine coasters, water play parks, barefoot trails, wooden marble runs, mountain carts, and educational hiking trails. Even without these added features, nature provides its own entertainment in the form of waterfalls to marvel at, rocks to climb over, and cowbells to provide the background “music”. Our son loves the fact that there is always an Alm (mountain hut restaurant) waiting at the end of a hiking trail or in the centre of a mountain play park. A big favourite is the Mieders Alpine coaster and accompanying water play park in the Stubai Valley. It’s possible to spend the entire day here in the shadow of the Serles mountain. My favourite country to travel in has always been Italy, and that goes for whether I’m travelling solo, with my wife or with our Little Man, who’s currently three and a half years old. We took him to Sicily just before his second birthday, and he loved every minute of it. Around the time we visited he was fascinated with volcanoes, so by happy coincidence the first thing we saw as we walked out of the airport was Mount Etna. However, he was more interested in the chocolate biscuits that complete strangers had just brought to him. We stayed for a week in Syracuse, and much of its ancient core is pedestrianised, so he was able to explore most of it freely. Our Little Man is a blond bambino, and he got a lot of attention – and biscuits – wherever he went. He also loved the food – gelato was his favourite, but he was also quite partial to pistachio pizza, of all things. Italy is my favourite country to visit with him because of this, and the fact there’s so much to show him – a wealth of history and natural beauty in that wonderful Mediterranean climate, with enough amazing places to last several lifetimes. 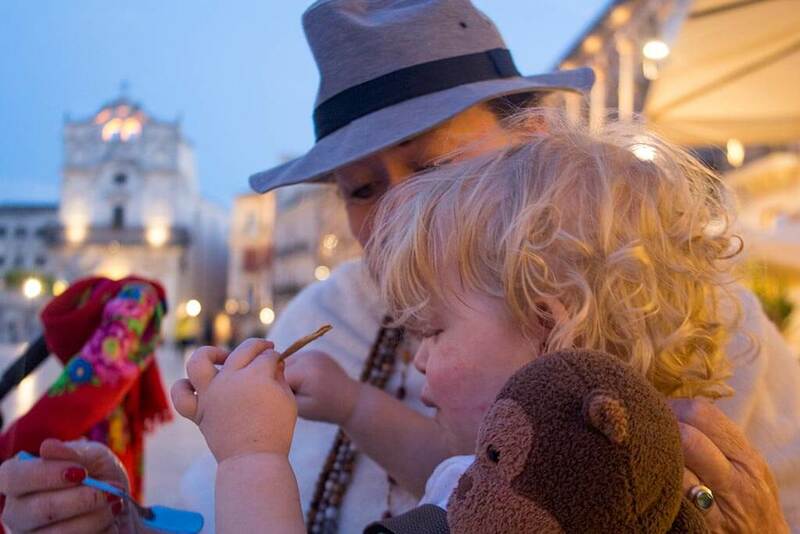 In Spain, kids are welcome almost anywhere and are an integral part of Spanish culture. They aren’t a nuisance, but a normal part of daily life! In fact, no one will bat an eye if your little one makes a little noise in a restaurant. If you visit large cities like Madrid or Barcelona, you can find plenty of kids’ playgrounds throughout its public spaces. Throughout the country, Spain is also full of charming plazas and lively city squares. They’re meant to bring the community together, where you’ll see children playing football while their parents enjoy a coffee or drink nearby. My kids’ favorite country is Malta! It’s a small island country in the Mediterranean Sea, and it’s rich in history, culture, and outdoor activities. It’s also surrounded by beaches – some are rocky coves, but Malta also has ideal sandcastle-making beaches like the soft sands of The Golden Bay. My kids especially enjoyed Valletta, the capital of Malta and a UNESCO World Heritage Site. 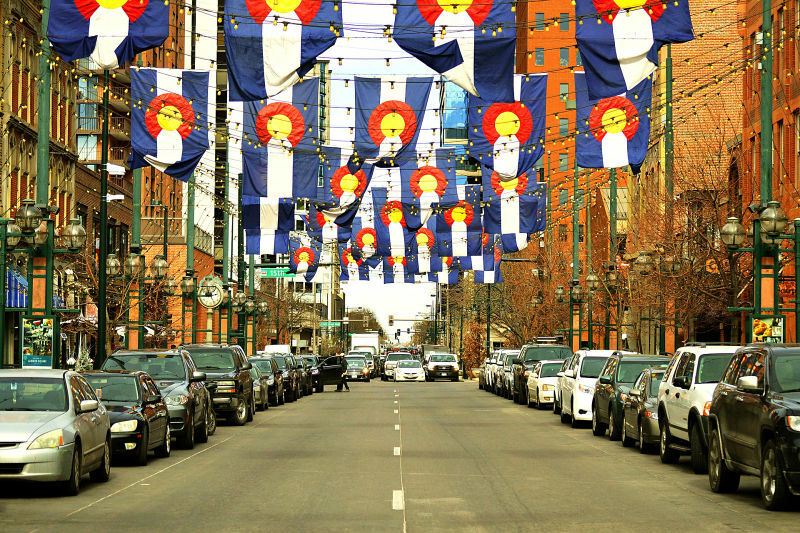 It’s a vibrant area to walk around, shop, and explore its wide plazas. Our favorite activity was to enjoy an ice cream on one of its outdoor terrace restaurants. They also loved going to the Upper Barrakka Gardens, a quaint haven that overlooks the harbor. And at noon and 4pm every day, a cannon is fired every day! Renowned for being one of the happiest places on earth, Denmark ticks all the boxes for an incredible family trip. 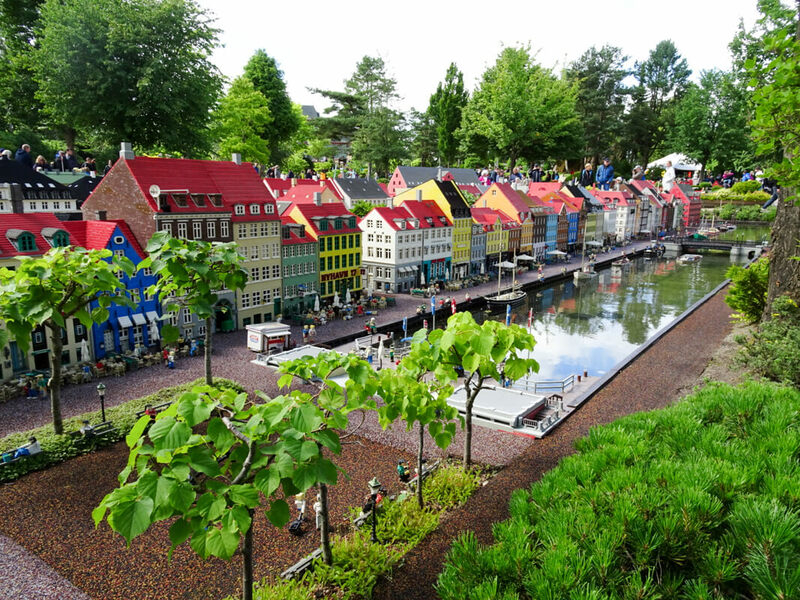 Famous for its food, cycling, LEGO, Royal family, Tivoli Gardens, castles, and author Hans Christian Andersen, Denmark has some brilliant surprises in store for families. Not only are there a huge array of interactive and fun things to do in Denmark, but the people, the landscape and the ease of getting around is sure to put a smile on your face. The only downside is it is one of the more expensive places to visit, however we always find plenty of ways to save. 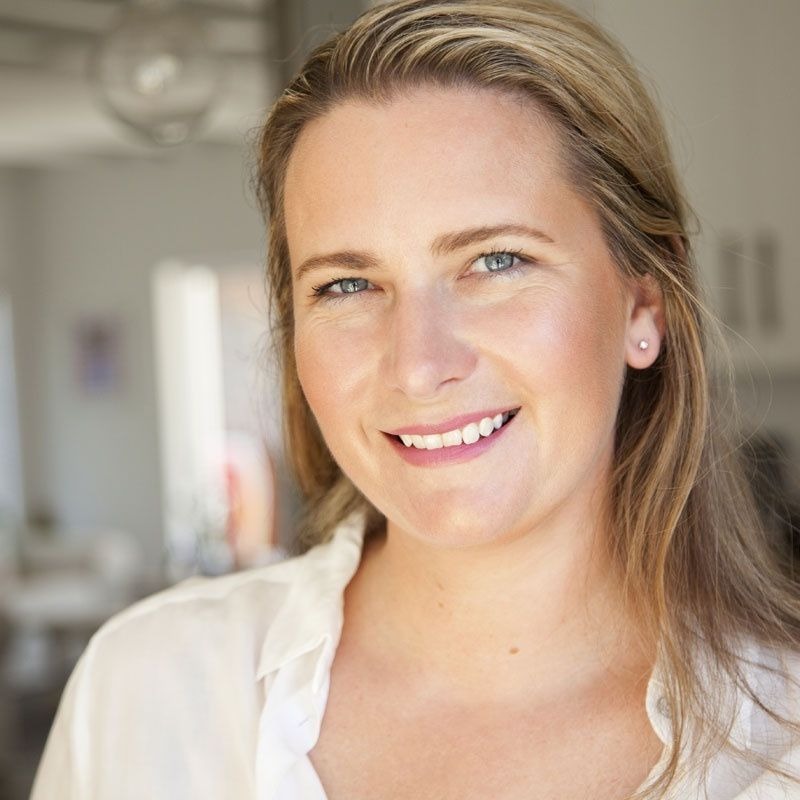 Having visited there several times, firstly as a child myself, then as a solo traveller, and again years later as a mother of boys with my extended family, Denmark is our family’s favourite place to visit. To find out more about Denmark, take a look out our stories on places to go and things to do with kids in Denmark. As a family we love visiting France. From the wonders of Paris, to the smaller cities and beyond, there is a corner of France that charms everyone. In France you can visit cities like Lyon where there is a huge park with a small zoo that is free to visit. Families enjoy Honfleur and the harbour towns of Normandy where you can browse the local markets and watch the boats arrive into port before spending an afternoon on the beach. We love munching our way through local delicacies – from macarons to moles frites, visiting castles and taking lazy river cruises. But if I ask my kids where they had the best time in France, they will always say Paris. 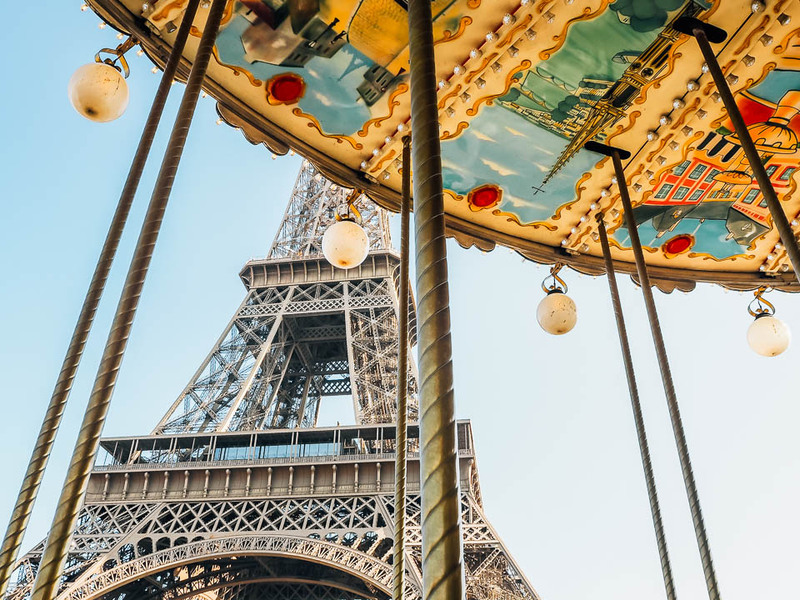 They love the city of lights for the iconic Eiffel Tower, our trip down the Seine and a ride on the huge ferris wheel in the Place de la Concorde. Feeding the ducks in the Tuileries Gardens and playing in the Jardin du Luxembourg are etched in their memories. As are the ice creams at Berthillon, strolliing through Montmartre and the many vintage carousel rides. All of these things make Paris with kids a super fun holiday, and France the best country to visit with kids. Jordan might not spring to mind immediately when you think of the best places to take small kids. But it was the first country we visited as a family of four and it’s still hands down our favourite. Jordan is an incredibly welcoming country. We were greeted with smiles wherever we went and our kids were the centre of attention. People were also very quick to offer help. At no point did we feel unsafe – Jordan’s terrorist threat level is the same as the UK, France and many other countries. Jordan is also stunningly beautiful. The north of the country is surprisingly green as it’s covered in olive groves. The middle is dominated by valleys and deserts – Wadi Rum is the most famous and has to be one of the most incredible places I’ve been. In the south there are fabulous resorts and lovely beaches by the calm Red Sea, perfect for kids. The snorkelling and diving here is world class. Jordan’s ancient ruins will delight older children and adults, but even our toddlers enjoyed Petra. Our kids’ favourite activities were a jeep ride in Wadi Rum desert, riding camels, and paddling in the Red Sea. 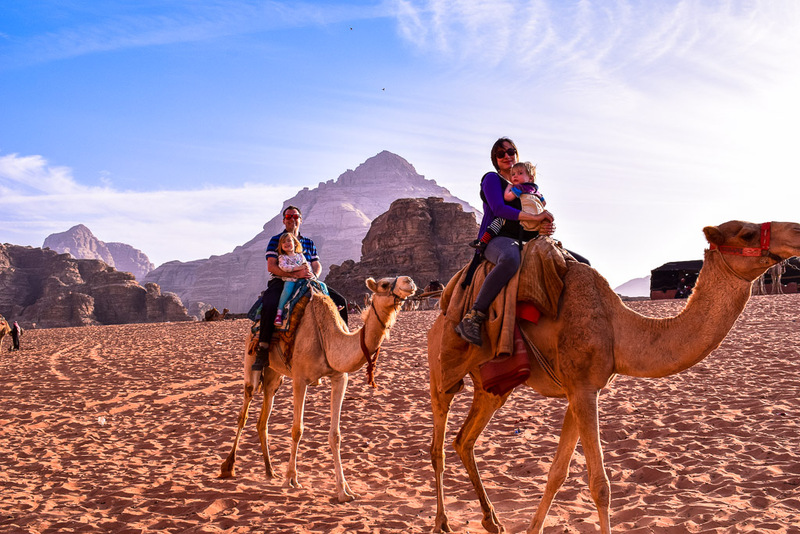 In short, Jordan has everything you could want for a family trip. See our suggested Jordan 7 day itinerary. We can’t wait to return! We are currently overlanding Africa in a Land Rover Defender with our two boys (aged 2 and 4). We have just left Malawi and it has to be one of the best family travel destinations we’ve ever experienced! Malawi packs a lot in to its relatively small landmass; with majestic mountains rising from the tea plantations in the South, to the tropical white-crescent beaches fringing the lake, to an intimate big five safari experience. Kids will love splashing around in the waterfalls and lake, but the highlight for my boys was walking alongside giraffes at Game Haven. Public transport is not really reliable enough to travel with kids, so you need either a private car or your own 4WD. 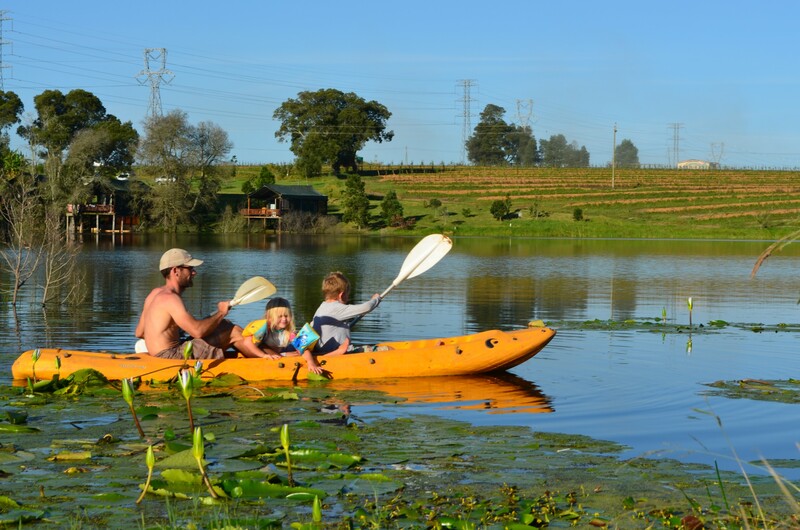 Relatively short distances can take time due to the poor infrastructure, but you will be rewarded with one of the best family adventures ever! South Africa is my favourite destination. 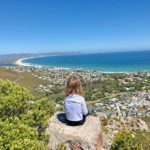 Last year we visited the Cape Region with 3 generations and it was fun for everyone. 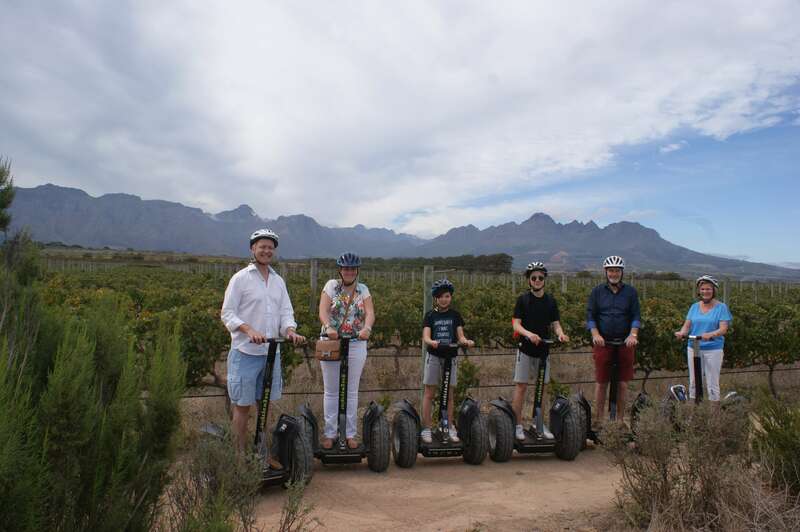 Visiting Robben Island and tasting wine were the highlights for the adults, but the kids loved to teach grandma how to ride a segway during a segway trip through the vineyards. We all fell in love with the black feet penguins on Boulders beach and we will never forget the helicopter flight over the region. Seeing Table Mountain and the 12 Apostles from above is an amazing experience. Besides Cape Town, South Africa is also great for safaris. I think every kid (and adult) will be thrilled to see elephant, lion and zebra up close. 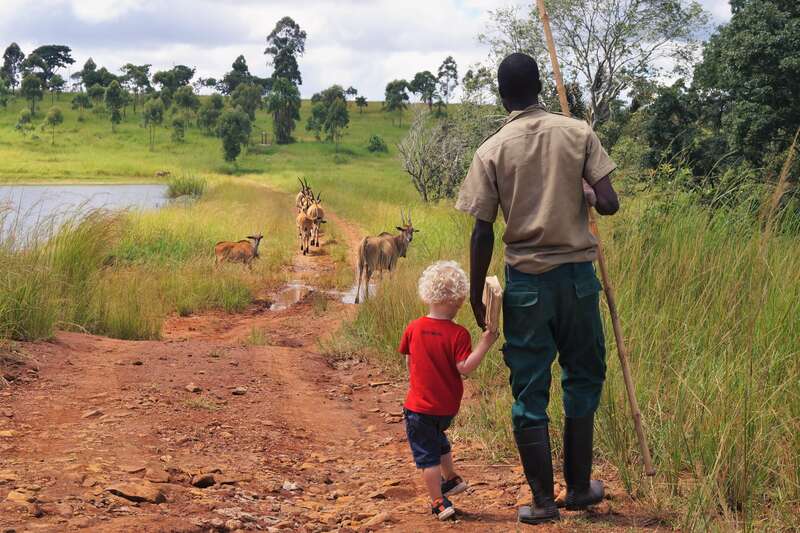 Read these tips for taking kids on an African Safari. South Africa has many family-friendly places to stay and restaurants will give your kids a warm welcome. If you ask my advice for a family friendly destination, South Africa is the first thing that pops my mind. We’ve done a number of long- and short-haul trips with our son who’s now nearly three, but we can all hands down say that the best place we’ve been (so far!) is the Maldives. It’s probably easy to imagine why my partner and I feel this way, but perhaps it’s less obvious why my son loved this dreamily exotic honeymoon destination so much. In short, we found island life to be perfect for toddlers. There are no cars (other than golf buggies which are son loved travelling on), there is soft white sand everywhere so you can be barefoot all day long, there are swimming pools to splash in until you drop, and the wildly different tropical surroundings make for constant opportunities to explore. Our son loved chasing crabs on the beach, and collecting buckets of water from the sea. The weather was hot but not oppressively so, thanks to a constant sea breeze. I should add that we stayed in a private island resort that was family-friendly, so everything was set up for young families from a cot in our villa to a kid’s club our son could play in when it was very hot. We felt extremely well catered for from kid-friendly foods. activities for older children to do all day, every day and the option of a babysitter service so mum and dad could enjoy happy hour. However, I think even staying in a more relaxed and not all-inclusive resort would be just as much fun for a kid, they really don’t need much more than sand to play in and some water to splash in and the Maldives has an abundance of both! Our family’s favorite country to travel with kids is Iceland! Last summer, we spent a lovely 10 days traveling the Ring Road of this stunning country. 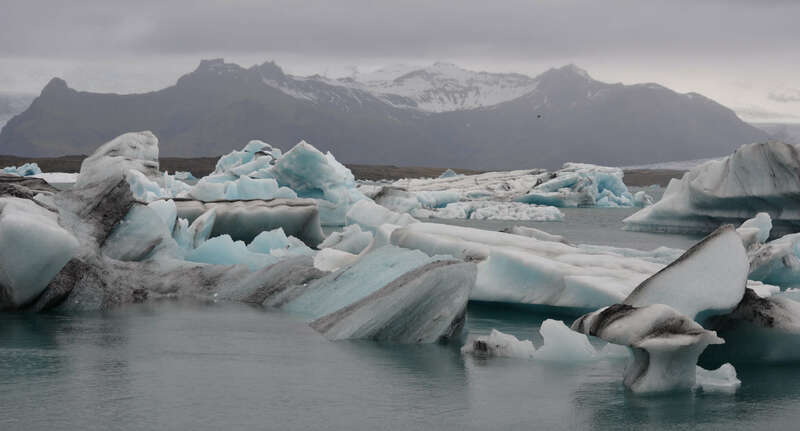 Iceland offers plenty of waterfalls, beautiful ice cap mountains, black sand beaches, volcanos and whale watching opportunities, along with a glacier lake, an active geyser, and bubbling mud pools. The kids particularly enjoyed touring a lava tunnel, swimming outdoors in geothermal pools, including the Blue Lagoon, Iceland’s most popular tourist location, and fishing during our whale watching excursion. Every view out the car window seemed to be more breathtaking than the last. While food and accommodation in Iceland tend to cost more than pretty much any other destination we’ve visited, Icelandic airlines like Wow Air and Icelandair offer low-cost flights or a free layover in Iceland, which significantly helps defray the additional costs. We’re not alone in our love of Iceland – it’s definitely a new hot family travel destination, so make sure to book accommodation months in advance! For more on Catherine’s family’s Iceland adventures, check out her Icelandic blog series. The island of Bali is full of so many family friendly activities that there is never a chance to be bored. 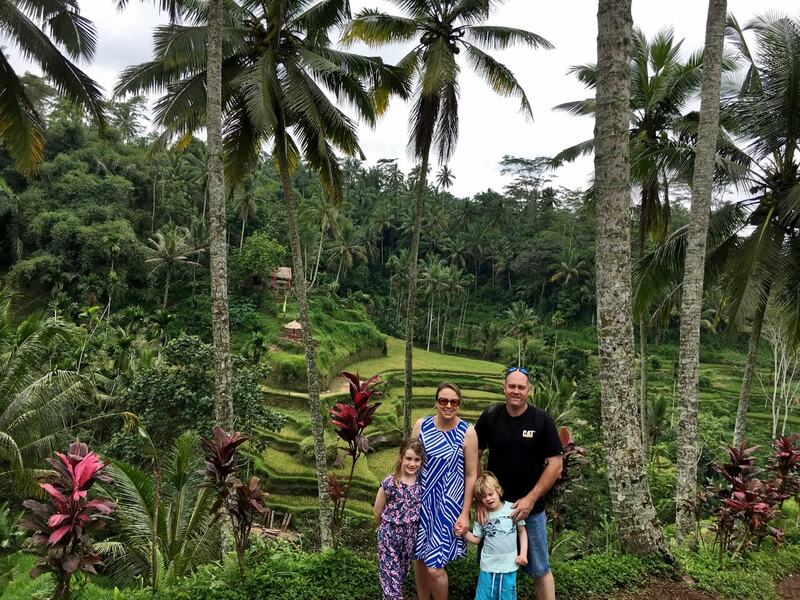 We love to travel to Bali with our kids and luckily for us, the kids love it too! As soon as you land in Bali you feel instantly at ease, the drivers that pick you up at the airport with car seats to the Bali nannies that meet you at your hotel to help look after the kids. The Balinese have such a way with kids, they are so lovely and the kids enjoy spending time with them while Mum and Dad enjoy a drink by the pool bar. The range of accommodation is so huge that every budget and need is provided for. If the kids want water slides, water parks and fun kids clubs, there are resorts that match this. Or if a home stay experience really getting to know the Balinese culture is more your thing, Bali has this too. Villas are also a fantastic option, especially when traveling with younger kids and never fear, there are pool fence hire companies to keep the kids safe. For the best value holiday destination that both the parents and kids will love, you can’t go wrong with Bali. My pick for the best country to travel to with kids is undoubtedly Singapore. We love Singapore. Loaded with suggestions from friends and family; I was pretty confused about the destination while planning our first international trip with our 6-year-old daughter. We zeroed in on Singapore after an extensive internet research. Being an offbeat traveler who prefers countryside over the city, I never thought that I’d ever fall in love with any city until we explored Singapore. The city easily made it to our daughter’s favorite cities list. Singapore is class apart. Immaculately clean, soulfully green, gastronomically rich, remarkably organized, and markedly modern, Singapore is packed with family-friendly attractions. Easy to access public transport, kids-friendly walkways, warm locals, pollution free atmosphere – the city has all the comforts you need while traveling with kids. There’s so much to see and do for kids in Singapore that just one visit wouldn’t do any justice to the city. Magical Gardens by the Bay, Awe-inspiring Singapore Flyer, Unique Singapore Zoo, Night Safari, River Safari, Jurong Bird Park, Snow City, S.E.A Aquarium, Universal Studios, Dolphin Park, Butterfly Park and…Phew! The list is massive! To stroll along the streets of China Town, Little India and Kampong Glam with your kids make them know the beauty of cultural diversity as they witness the graceful blend of three ethnicities in Singapore – Malay, Chinese and Indians. Singapore can keep the young ones and grown-ups equally entertained. 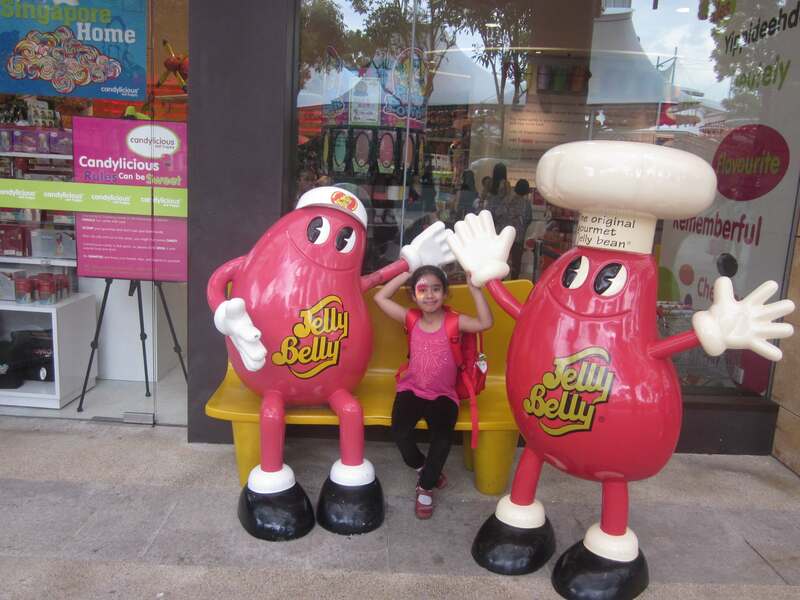 Our daughter enjoyed it so much that just mentioning Singapore brightens her day even now. If you ask our children about their favourite destination, they both say it’s Singapore. They loved the fact that it’s so clean and the safe feeling. Eating in a hawker food stall was a new and fun experience. We stayed in the Marina Bay Sands hotel and they enjoyed the spectacular infinity pool on top of the hotel. The Gardens by the Bay were another successful attraction, but most of all they loved the shopping. Our kids enjoyed Malaysia and all of the other countries we visited in South East Asia, but their favourite was Singapore. It is a children’s paradise! We spent less than a week there but found so many wonderful things to do: exploring the Buddha Tooth Relic Temple was really interesting, and their National Science Centre was incredible. And the Gardens by the Bay is also just amazing; with so much to discover, including a children’s garden and waterpark. I love how they incorporate kids activities into nearly everything. Though it’s very busy and expensive in Singapore, they definitely know how to cater to children! Last year we discovered Sri Lanka and immediately fell in love with this Indian Ocean island paradise. Just a stone’s throw from the tip of Southern India, Sri Lanka is stunningly beautiful, incredibly diverse and delightfully compact (being roughly the same size as Ireland). It’s the perfect, family friendly destination for families looking for a bit more adventure. With world-class surf, pristine white beaches, fabulous food and amazingly friendly locals, it’s no surprise that Sri Lanka is ranking highly on the hot destinations right now. The biggest draw however, was the chance to show our kids elephants in the wild. 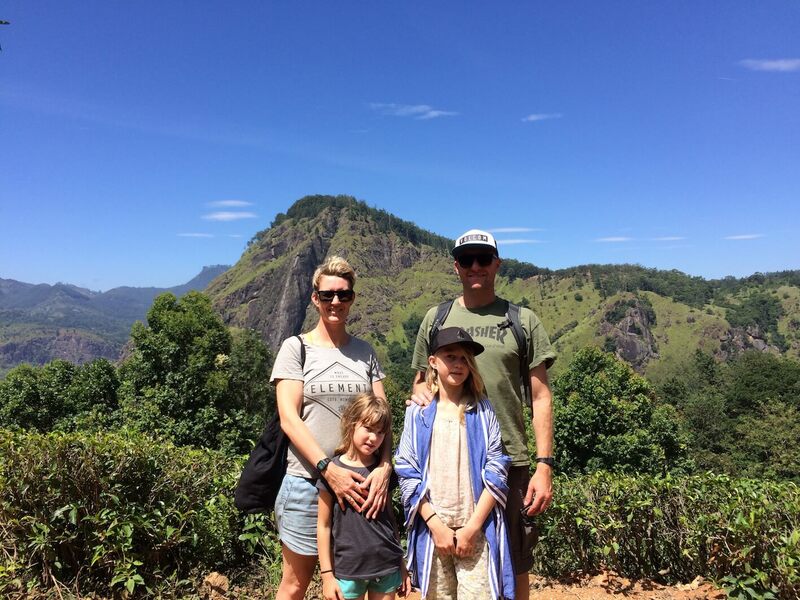 Safaris in Sri Lanka are ridiculously affordable with a 3 hour safari costing only $40 for a family of four. One of the best things about Sri Lanka is that it’s all year round destination. When one coast is being battered by monsoon winds and rain, the opposite coast has hot, dry weather. Whenever you go, you can find sunshine! Sri Lankans love children and it shows! Family is held absolutely sacred and we were warmly welcomed wherever we travelled. Nothing was ever too much trouble and a month backpacking around Sri Lanka was easy. The kids loved it and we will never forget the wonderful, warm hearted people. The island is relatively easy to get around, most people speak English and there are plenty of places to stay for all budgets. Highly recommended! 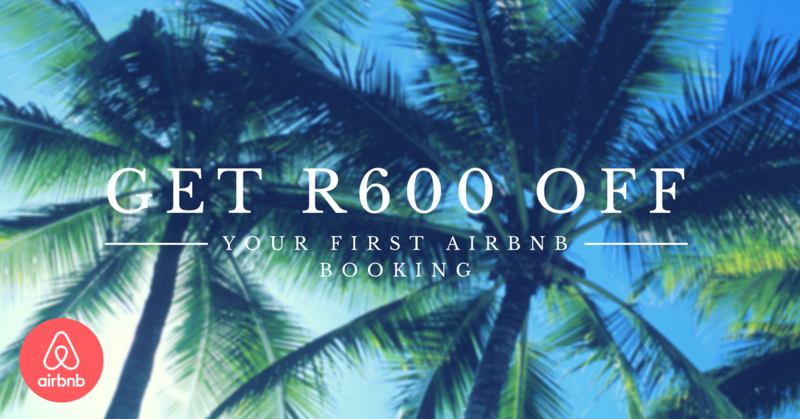 Planning a trip to Sri Lanka? Check out this 2 week Sri Lanka itinerary. “G’day mate, let’s go for a surf and then chuck some snags on the barbie.” If that doesn’t scream laid back Australian culture I don’t know what does. It is no secret to travellers worldwide that Australia has some of the best beaches, for both surfing and swimming. But what some don’t realise is that Australia has so much more to offer than just picturesque beaches. What about all the history and culture that surrounds this great land? Australia has bushwalks for every experience level, must see attractions, all the BIG Things (adds a little bit of fun to travel for both adults and kids), playgrounds for kids everywhere. But better than that, there are so many great FREE things to do in every town, city and region you visit. Naturally everyone wants to visit Sydney and the Blue Mountains because it is so widely publicised but if you are visiting Australia don’t forget to make the trip from Brisbane to Sydney and enjoy the sights along the way. 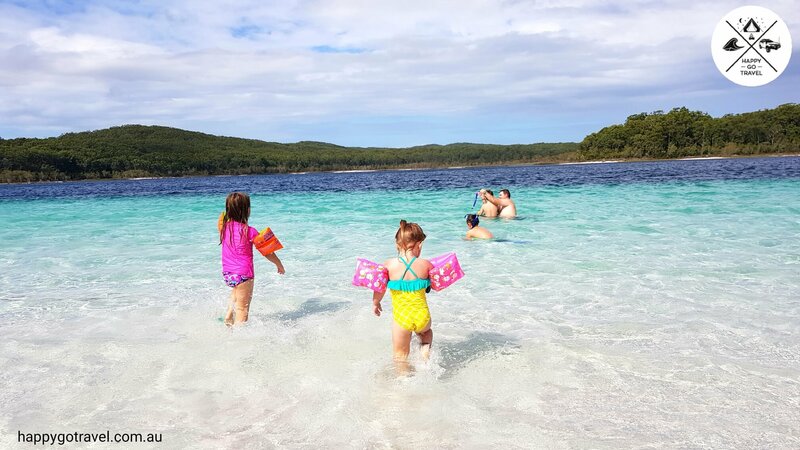 Check out the history in Canberra and Melbourne, get those highly desired tourist pics on Fraser Island, embrace the ultimate experiences Western Australia has to offer and even smaller regions like Newcastle and the Hunter Valley wine region. In Australia you are spoiled for choice. You have unlimited activities to try, endless adventures to take on and infinite hidden gems to discover. Or just ask a friendly local, they’ll be more than happy to show you. There you have it! 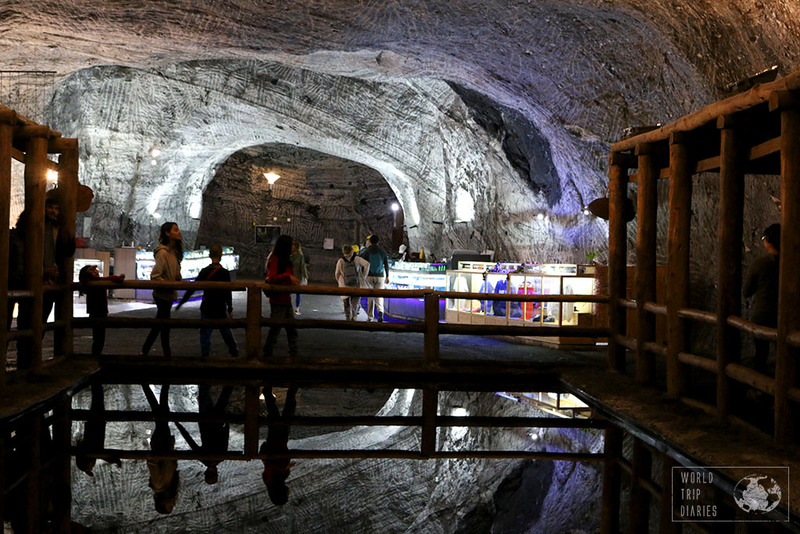 A comprehensive list of the best places to go with kids. 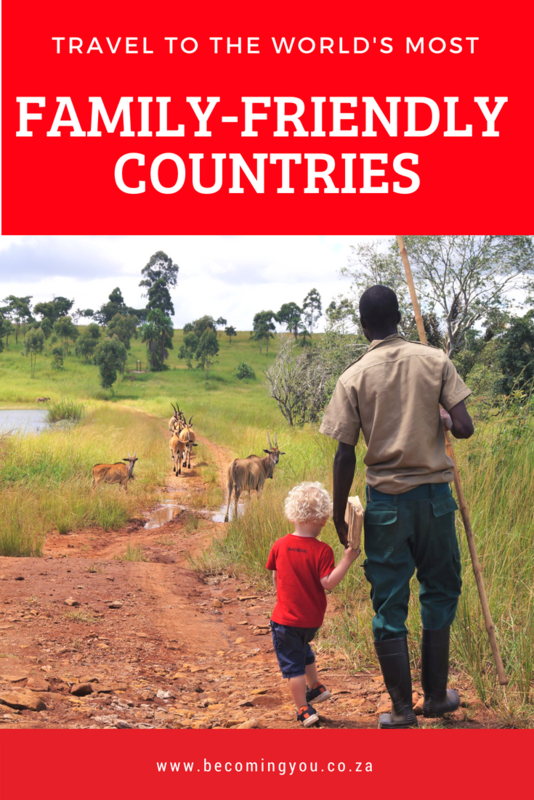 I think this list just about covers every corner of the globe and I know my Bucket List has grown extensively thanks to this amazing list of family-friendly countries to visit! Which has been your best country to travel with kids? I’d love to hear your suggestions! Thanks YOU for your contribution. I hope you enjoy the rest of your amazing adventures in Africa. Look me up when you get to Cape Town. Hi Laura. Thanks for your addition to the list! Will have to add it to my VERY long family bucket list. I agree with David, Italy is brilliant with kids. We had a brilliant time in Sicily too. I haven’t traveled much of Asia, Japan is definitely high on my priority list, my most memorable trip to date was my my trip to spain. Now it is no longer just me so i am a little bit more picky about my travel destinations. Amazing list. As we are planning a trip with our children we were confused while selecting the destination where our kids will enjoy but thanks to you for sharing this great list as we have many options available now and it has become easy for us. Keep posting such interesting articles. So happy to have helped inspire your next trip! Let me know where you choose to go! I’m adding all of these places to our family travel list! I can personally second Australia as an amazing kid friendly country. I would never have thought of some of these destinations – it’s great to hear tips from the experts.